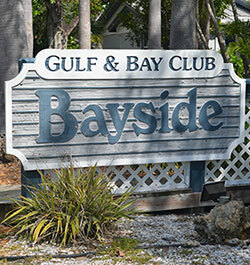 The moment you arrive at Gulf & Bay Club Bayside, you’ll appreciate the beauty, serenity, and charm of this "Key West” style village. Located on the bay across the street from world-famous Siesta Key Beach, our view of the Intracoastal waterway is exquisite. You’ll be embraced by balmy breezes and delighted by the birds, fish and manatee. 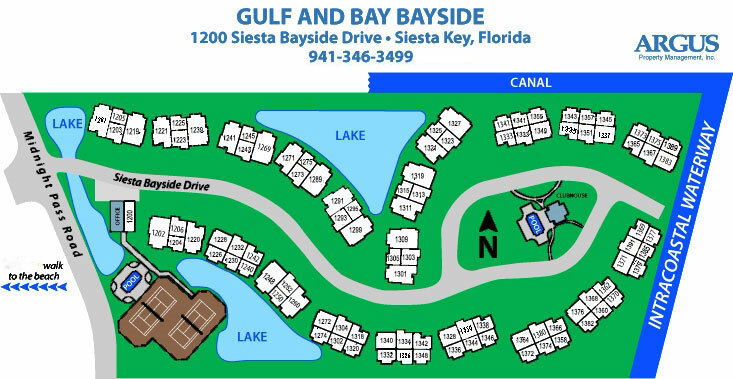 Our spacious units, individually owned and decorated, are surrounded by lush, tropical landscaping, shell paths, and quiet lakes with soothing fountains. There is a feeling of privacy and individuality in the layout of our units. Relax in air-conditioned comfort or open the windows and invite in the gulf air. Two heated pools, two tennis courts and an exercise room provide on-site activities. BBQ grills, a fishing dock and picnic areas are available for all guests. 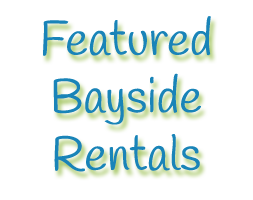 For convenience, each guest rental has its own private garage and a washer and dryer in the unit. Best of all, you can walk across the street and down a path to beautiful Siesta Key or Crescent Beach. 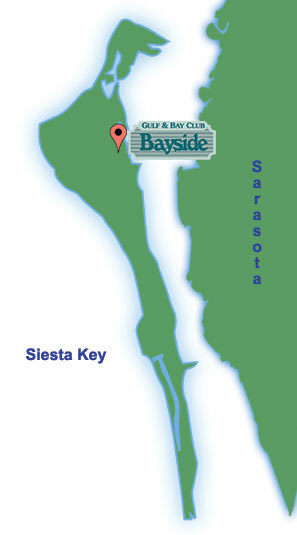 Siesta Key Village is just down the street. Golf-cart taxis and pedicabs, just a phone call away, will take you there for free - tip only service.